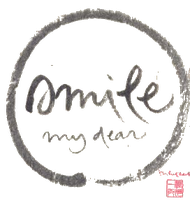 "The Miracle of Mindfulness "
Please join us for a day long retreat led by four monastics from Plum Village, a monastery established by world renowned zen master, peace activist, and poet Thich Nhat Hanh, who is known as father of mindfulness. 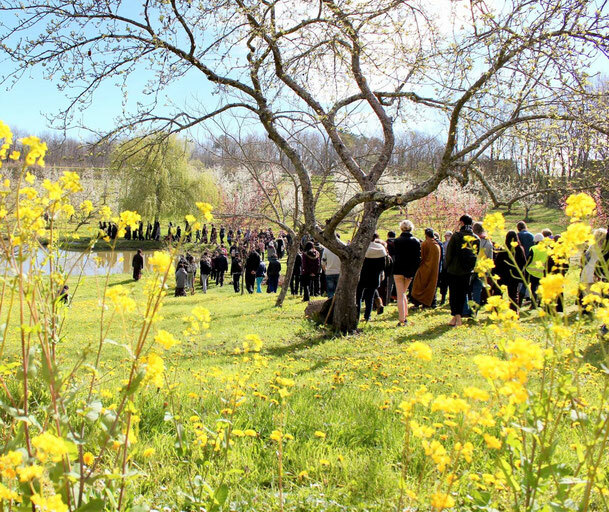 We are delighted that Thay Phap Huu, the abbot of Plum Village France, will visit Japan for the first time to lead this retreat to share the art of mindfulness. 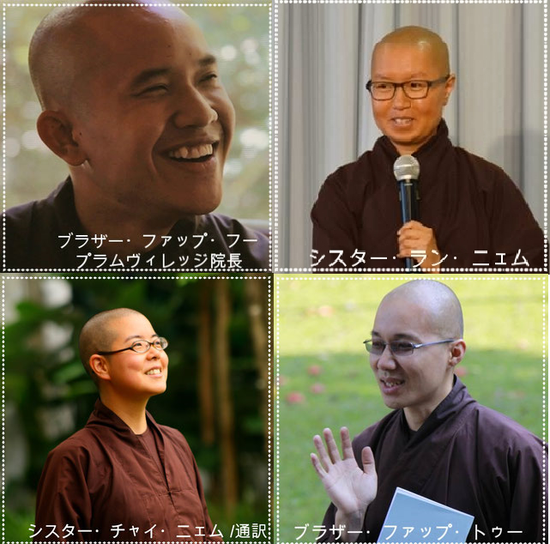 The event will take place in Shogyoji, the Buddhist temple and its residential community in the tradition of True Pure Land school of Buddhism, which was founded more than 420 years ago in Chikushino, Fukuoka, the peaceful and historical region of Kyushu. To make a reservation, you may sign up on this registration page miracleofmindfullness.peatix.com (Japanese) , or email us the information below to: belovedcommunity.jp@gmail.com and you will receive the payment details.